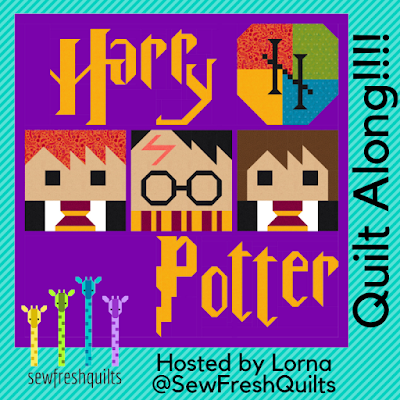 Welcome to the PRE Introductory Post for the upcoming Harry Potter Quilt Along! In preparation for this epic Quilt Along planned for 2019, as she has been busily sewing up the 20" blocks, Jasmine has been posting her test blocks to Instagram and the word is getting around! There will also be an introduction post coming on January 15. YES!!! There really are two quilt alongs! Kelli of Seriously, I Think it Needs Stitches and I are co-promoting each other because we are BOTH doing FREE HARRY POTTER QUILT ALONGS in the new year!!!! You heard that right! 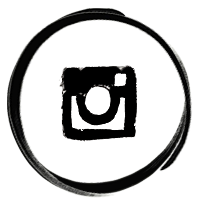 I am teaming up with the super fantabulous Kelli of KelliFanninQuilts on Instagram and who blogs at Seriously, I think it needs stitches. She and I will be simultaneously hosting!!!! Free Harry Potter Sew Along @ Seriously, I think it needs stitches. Want to join us? Seriously, FOLLOW US BOTH!!! 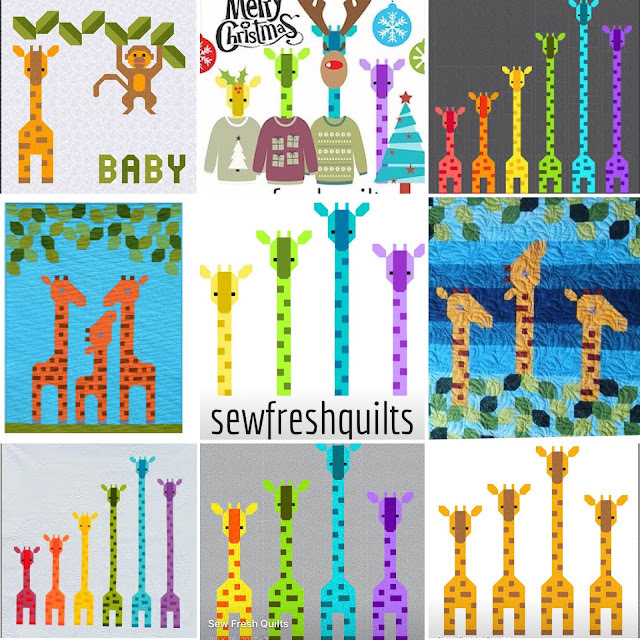 How do you follow along at Sew Fresh Quilts? 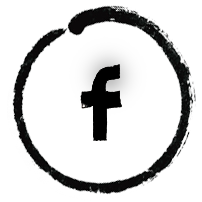 Choose to visit our site and really get to know us! Navigating here at Sew Fresh Quilts is easy! right below the blog header. When you visit by mobile it looks like this. the other page options appear. When you visit by desktop it looks like this. 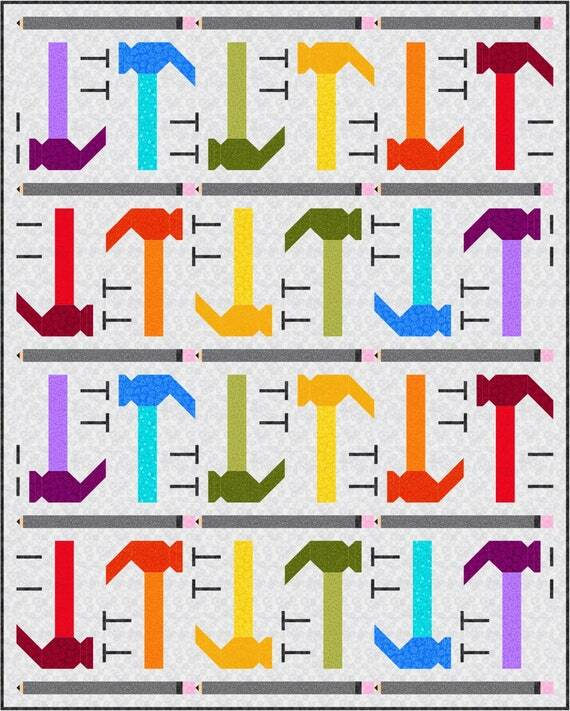 Here you will find the quilt size options. AND the Fabric Requirements are UP!!! 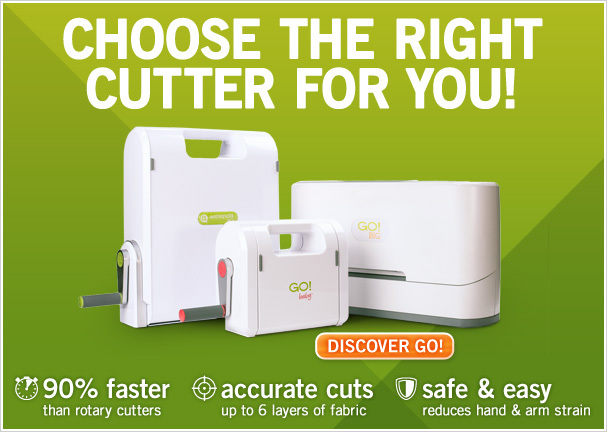 for anyone wanting to find the perfect fabrics in advance. please put on the kettle and feel free to make yourself at home! More details coming on January 15th! 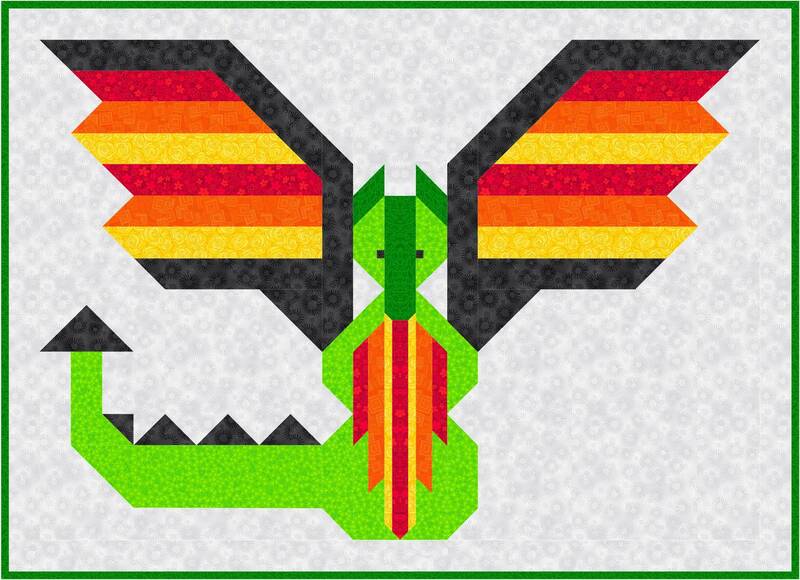 I am keeping busy working on the test blocks for the upcoming Harry Potter Quilt Along planned for 2019. Jasmine and I are quilting together! She is doing the 20" blocks and I will be doing the 10" blocks. Here is her first block. 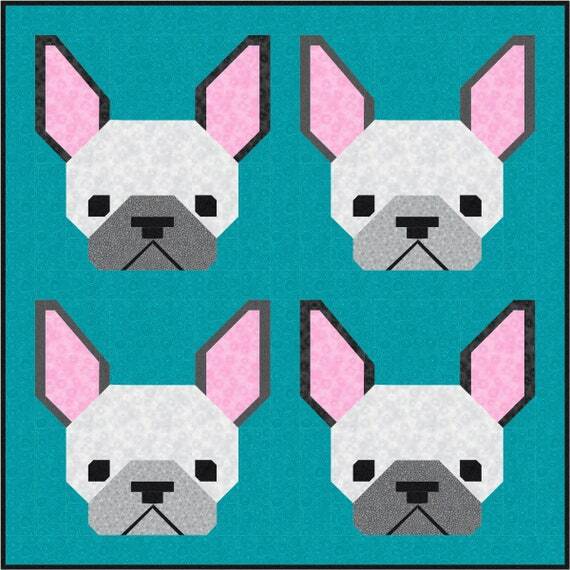 Follow Jasmine on Instagram here to keep up with all of her test blocks! YOU CAN FIND THE Harry Potter Quilt Along page under construction here. 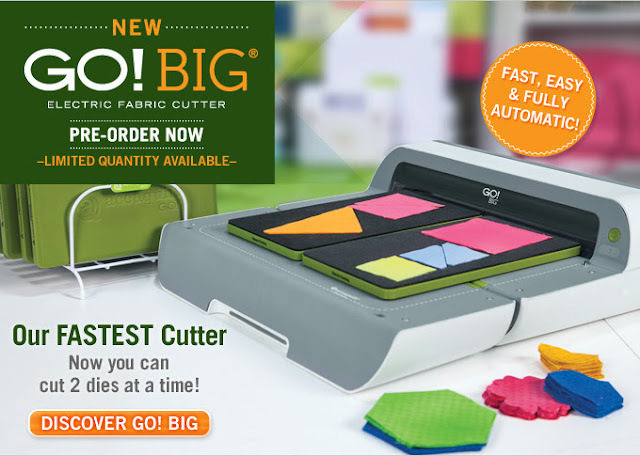 There you will find the quilt size options. AND the Fabric Requirements are UP!!! 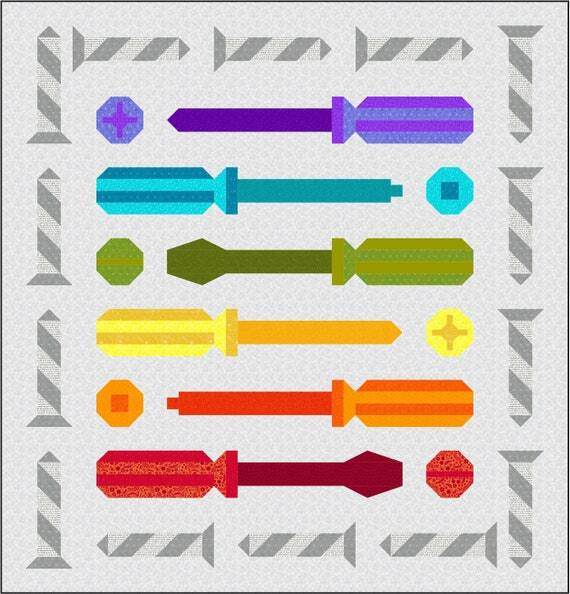 for those who want to be sure to find the perfect fabrics well in advance. More details and a schedule coming on January 15th! It's all Thanks to YOU! 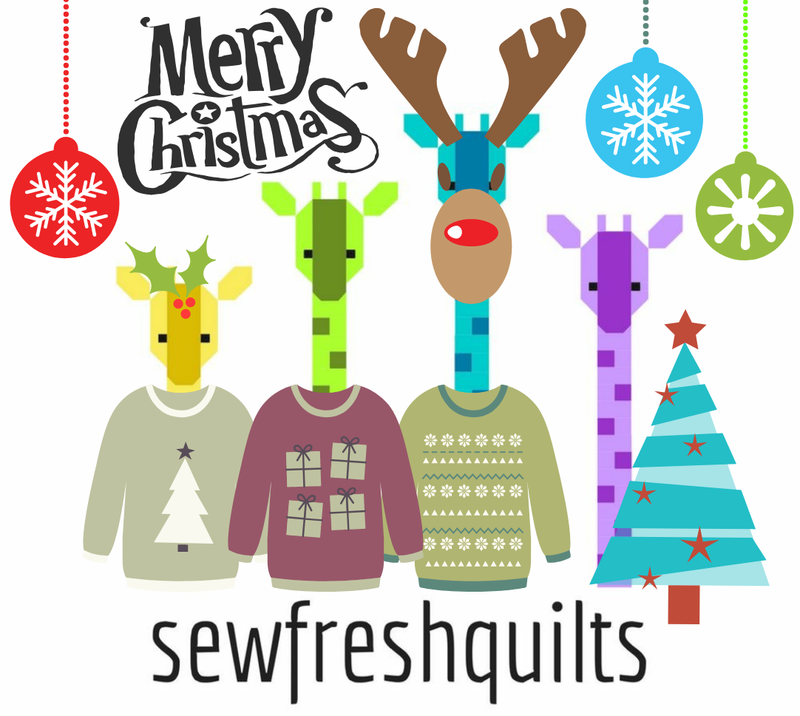 Thank you for following along and taking part in the fun times we share here at Sew Fresh Quilts. And especially for sticking with me. This was a tough year. But it was a breeze because I know you have my back! As I reflect back on all the changes that have happened during the last 6 years, I am also mindful of all of the things that I am so thankful for. 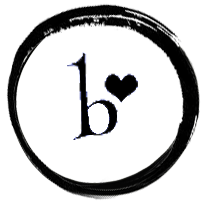 Today I am celebrating my 6 year Blogiversary! 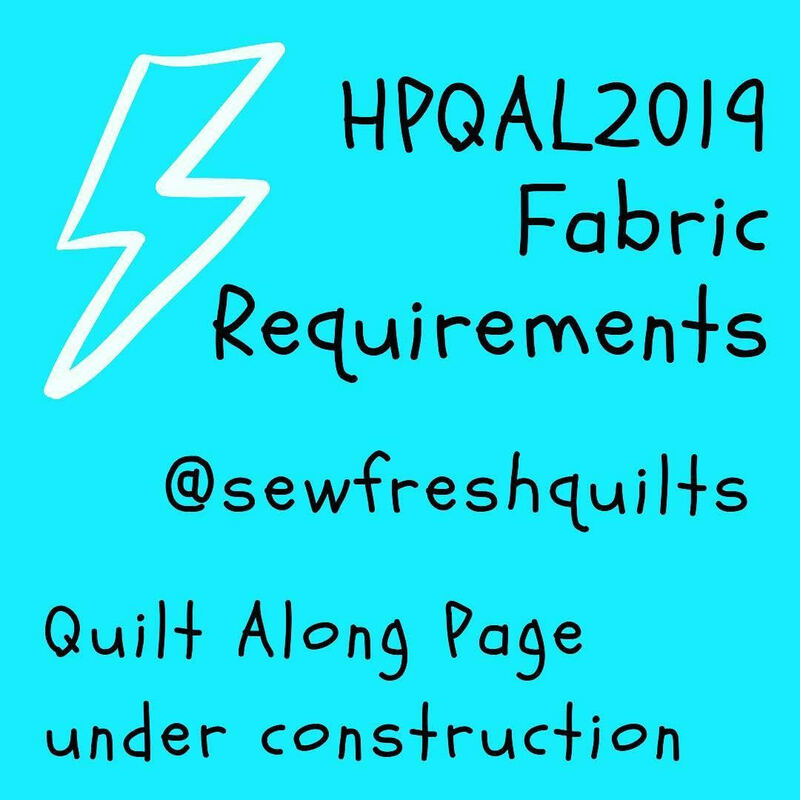 Yes, it was 6 years ago today that I started this blog as a way to document my progress and to make connections with fellow quilters, like you! Thank you for all your kind comments left on my blog posts, in emails and on facebook and instagram. And for all the encouragement you give me. I couldn't have made it this far without your friendship and all of your support! Now we are coming to the end of another year. Time to take a look back on 2018 and see what has been accomplished. And to take a look ahead to 2019 and to make plans for the coming new year. There were three makes from this past year that I am particularly pumped about. 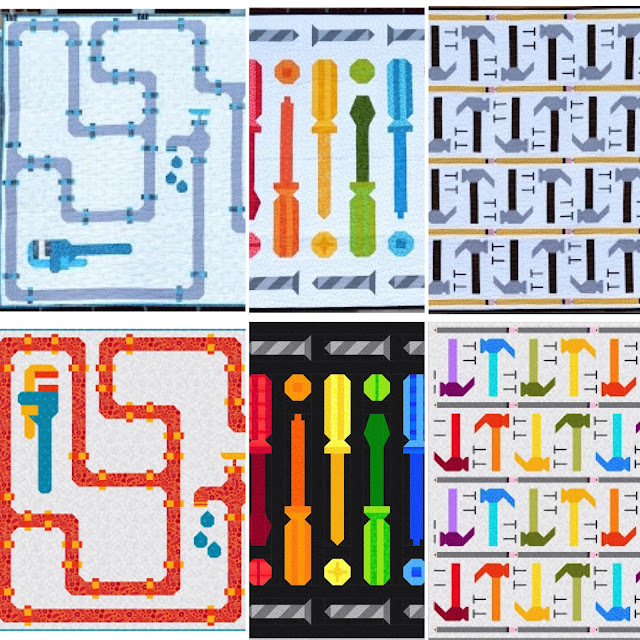 And those are the tool themed quilts made most recently. 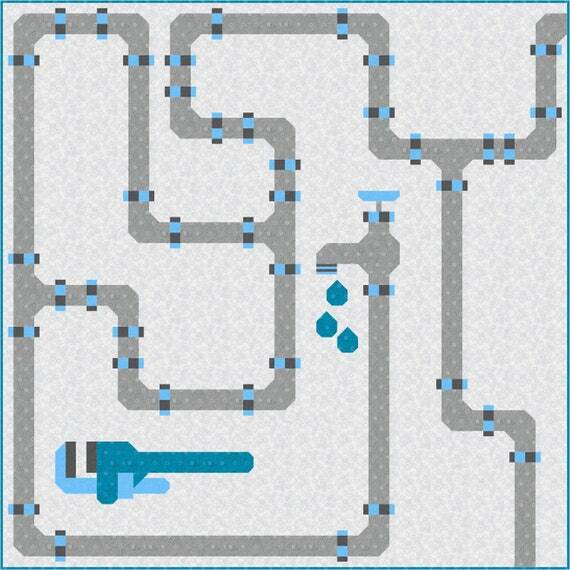 Pictured below is Layin' Pipe, Screw This! and Nailed It! 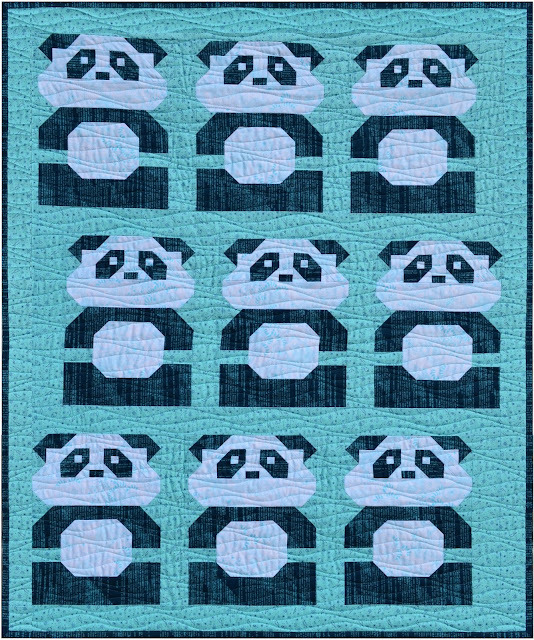 And below each quilt is a mock up of other colourways I designed. 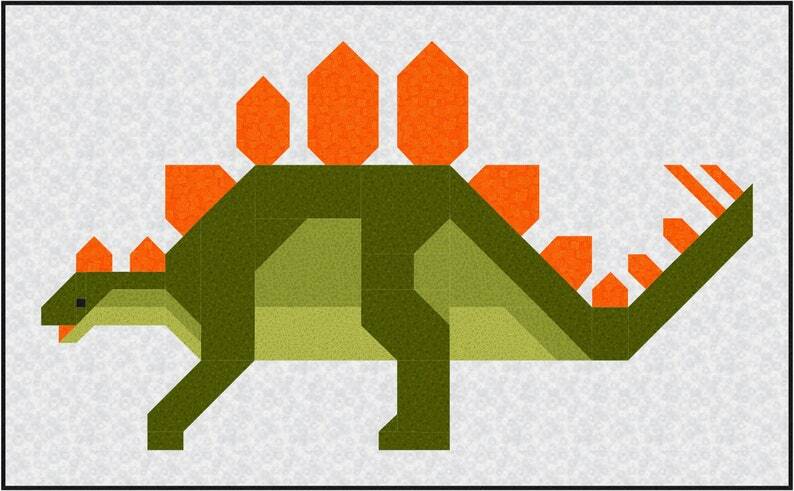 I still have plans to perhaps release a block pattern using a combination of tools. This is a plan for 2019! 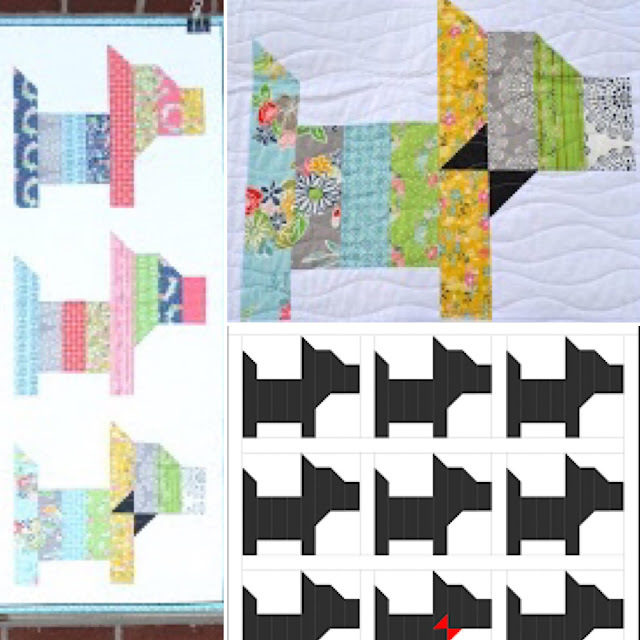 The Scottie Dogs is a FREE pattern!!! 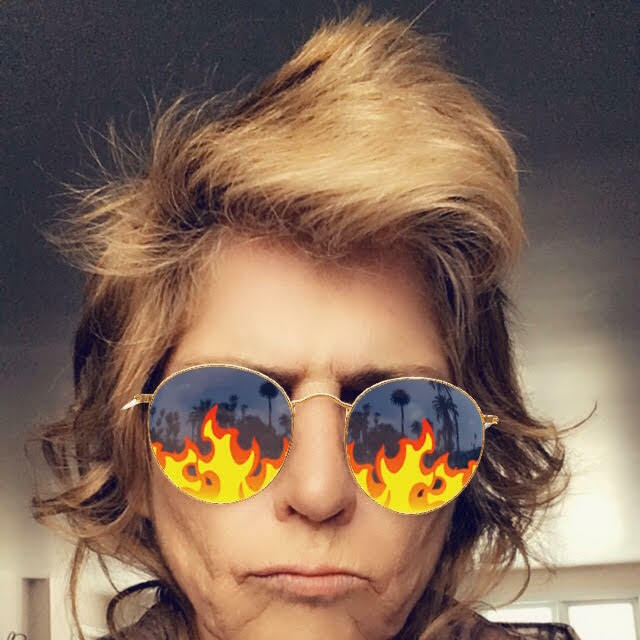 Check out my post here for your copy! 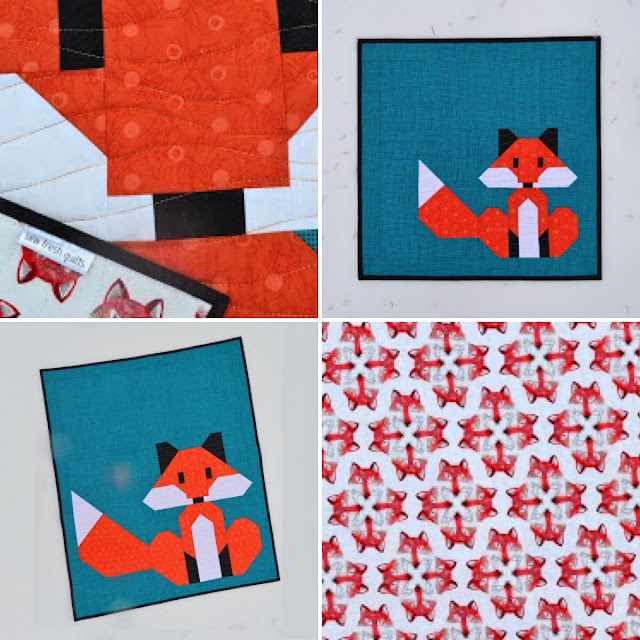 The Hello Foxy mini and crib size Hello Foxy were two of my favourite makes from this year! 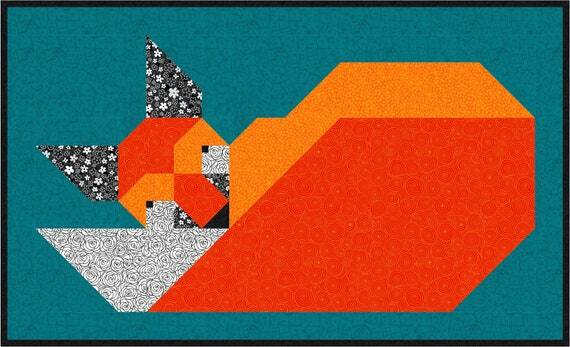 This design is yet another take on foxes. Yes. I do seem to have a thing for those red little rascals. And this comical version is a little left of my usual tendency to try for more of a realism rather than caricature. The Dachshund Dogs was so much fun! 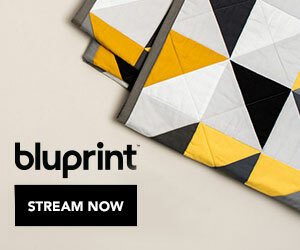 I love the rainbow lineup of saturated modern prints and am so excited to be gifting this quilt tomorrow! 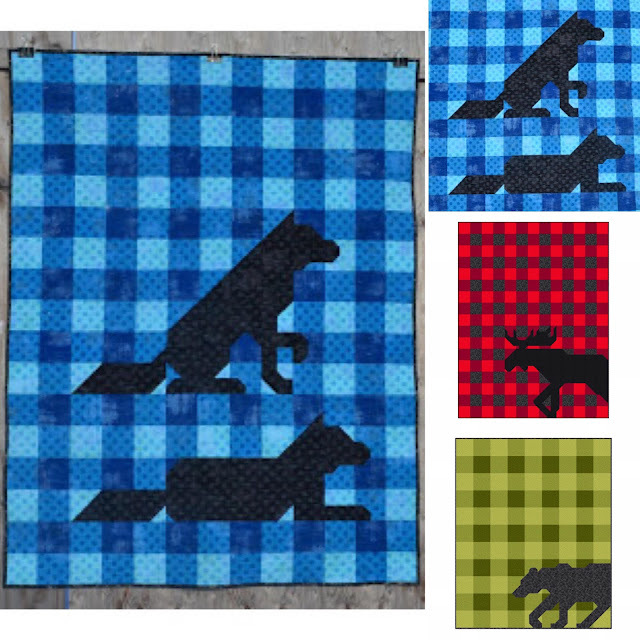 The Buffalo Plaid Wolves was my first finish of 2018 and the post is dated January 13th. When the weather started turning cooler, I offered this quilt to my guy Chad to use as a car quilt. AIt's got a flannel backing and is so cozy. Great for napping at lunch time during the workweek. If you would like see all my other makes from this year please click here to visit my Gallery. Thank YOU for all your love and support during the past trying year my friends! What has my Best Nine for 2018 revealed? 1️⃣ & 2️⃣ Fabric is sweet. But fabric with an eyeball is super sweet. Times two!!! 3️⃣ Foxy foxes never go out of style. 4️⃣ You just cannot go wrong when you choose RAINBOW! 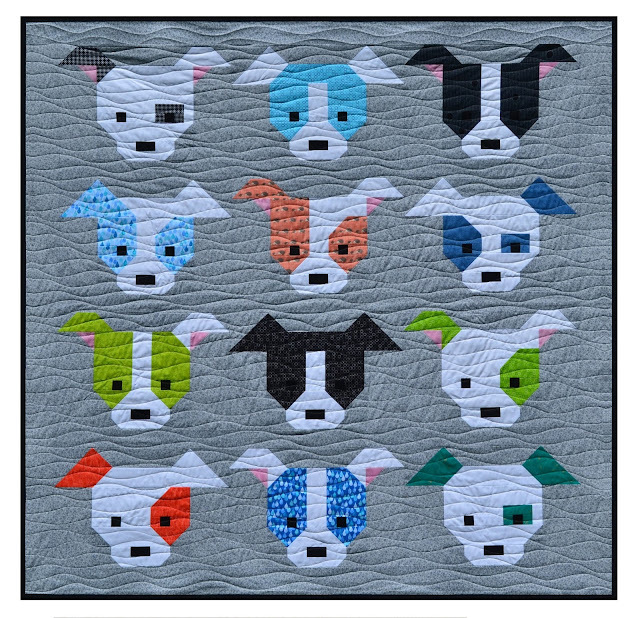 5️⃣ When they say your quilting is goin’ to the dogs... It’s not necessarily a bad thing. 7️⃣ I really enjoy a little play on words and who can resist pigs in a blanket? With CHICKS !!! 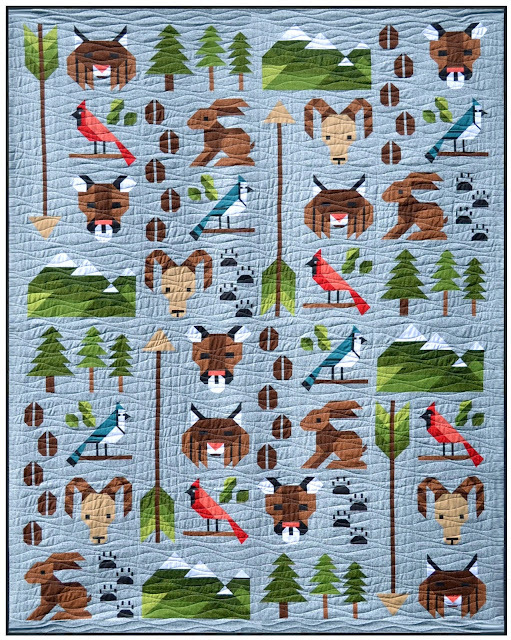 8️⃣ A quilt along with friends is sew much fun. TWO FREE HPQAL with friends like @kellifanninquilts is even better!!! Add dogs, shaped like food, that have eyes. These are my Top 5 makes of 2018! 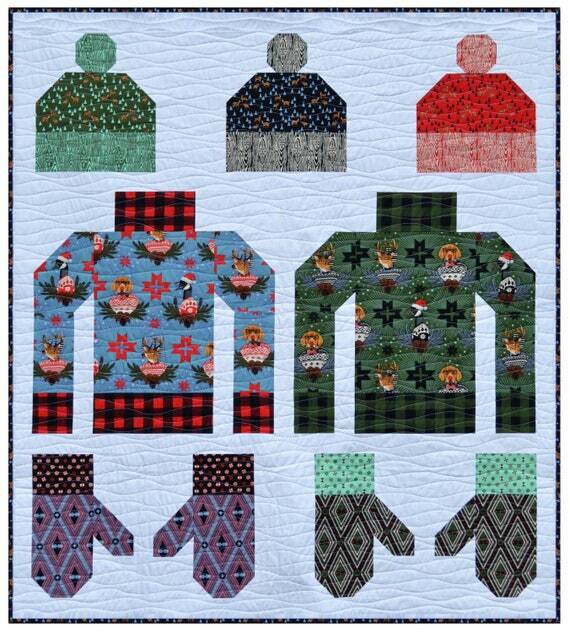 It's hard to choose which quilts to put on this list at the end of the year. 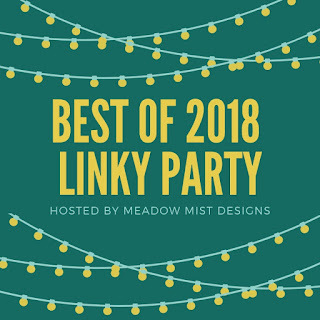 But I am excited to share this post and will be linking up to the party over at my good friend Cheryl's Meadow Mist Designs blog. This is her fourth year hosting this fun filled event and anyone can participate. 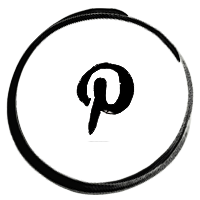 Just write up a blog post sharing your 5 favourite makes from this year and join us at the party! You can read my posts from the past!!! The following are my plans for 2019. 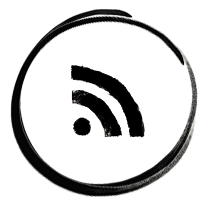 My very first blog post was actually very much like a new year's resolution. 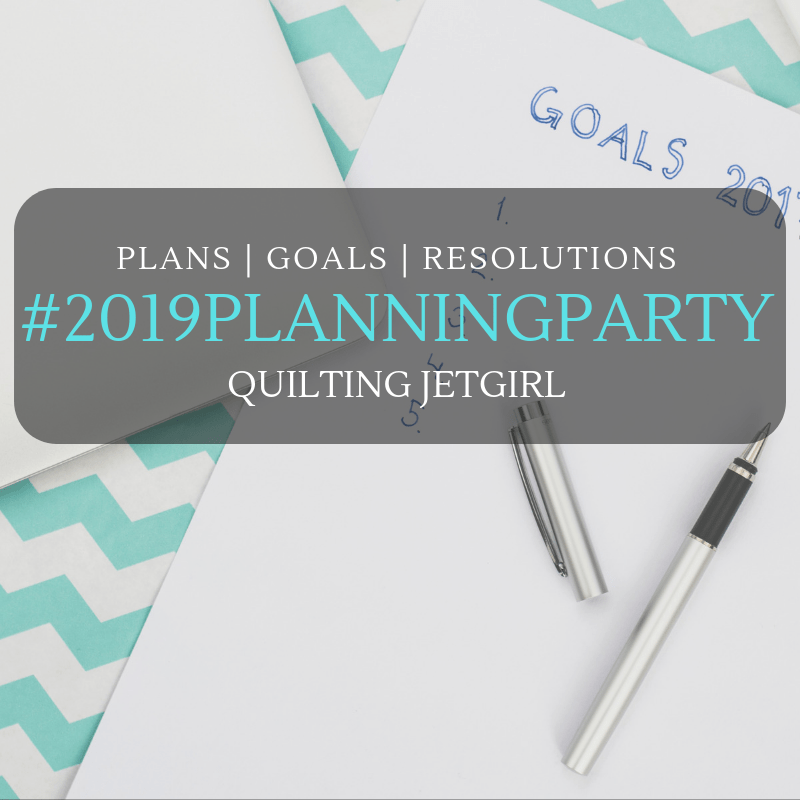 For the past four years I have been participating in the planning party hosted with Yvonne of Quilting Jet Girl. And you can join us in this party too. 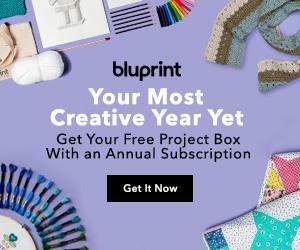 Write your own post for your Plans for 2019 and come join us! 2018 has been a pivotal year for me. A year of finishes and a year of firsts. 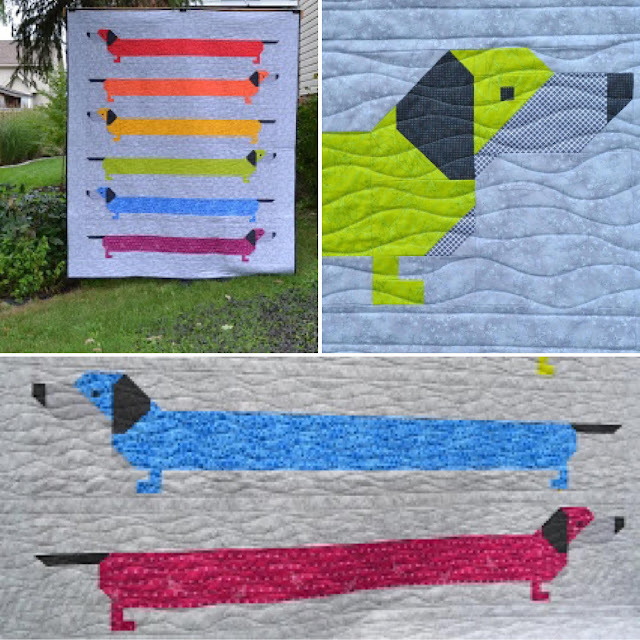 In the first couple of years, I concentrated on learning new techniques, sharing tutorials and quilting tips, and developing my own artistic style. 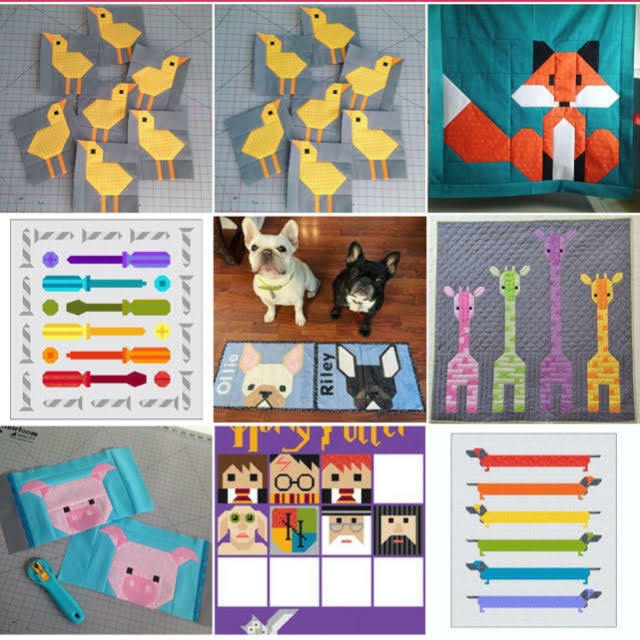 2015 was the year I discovered that my true passion lies in designing modern minimalist pictorial quilts using the STOP (Stitch.Trim.Openseams.Press) method. 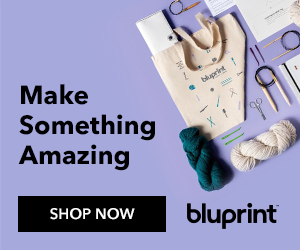 My pattern business has blossomed and bloomed over the past three years. The year 2019 will be.... The YEAR OF CONTINUING TO FOCUS ON DESIGN! During the past three years I have branched out of my safe zone and ventured out into the real world. 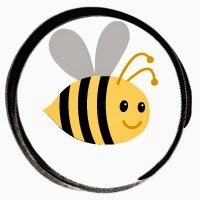 I had begun to reach out to groups and guilds in my area and my events page quickly filled up with a list workshops and trunk shows that took me all over Ontario!!! And in 2017 I also made my first trip to Houston, Texas for Quilt Market. It was way outside of my comfort zone. And a long way to travel. I thought 2018 would have been a year of spending more time at home than away for Trunk Shows and Workshops, but my Events page filled up again and I made my way all over Ontario visiting guilds and meeting many wonderful people. What another exciting year of travelling and meeting so many new people and places. But now I am no longer accepting invitations for events because I just wanna stay home. However, there is a new way to stay in touch. 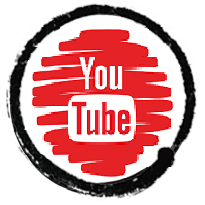 We now have a YouTube channel where we plan to share video tutorials. And I am hoping to just be able to be a bit silly. The year 2019 will be.... The YEAR OF ENJOYING HOME and visiting you through YouTube! But also the first year I missed hosting a fun QUILT ALONG. Hosting the Elephant Parade and then the Dog Gone Cute quilt along in 2015 had been so much fun that I decided to host a few more quilt alongs. 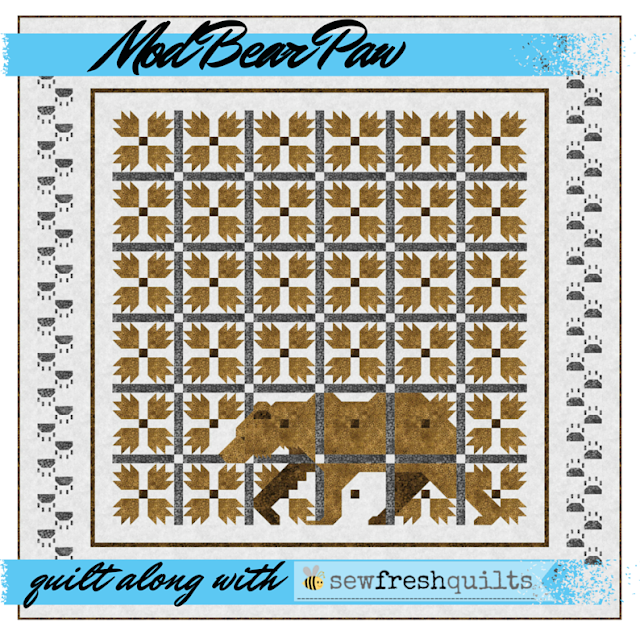 In 2016 we quilted along to the Ugly Christmas Sweaters and the MOD Bear Paw. 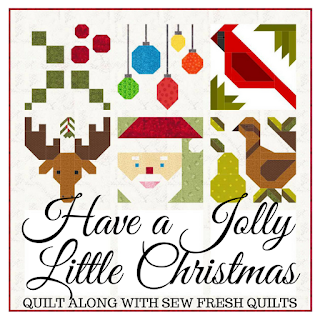 This past year I shared all the instructions for the HaveAJollyLittleChristmas quilt along which was so much FUN!!! 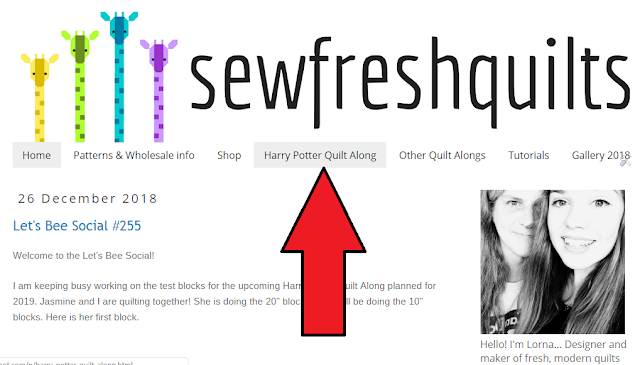 All of these quilt alongs can be found by clicking on the Quilt Alongs page tab at the top of my blog, just below the header. 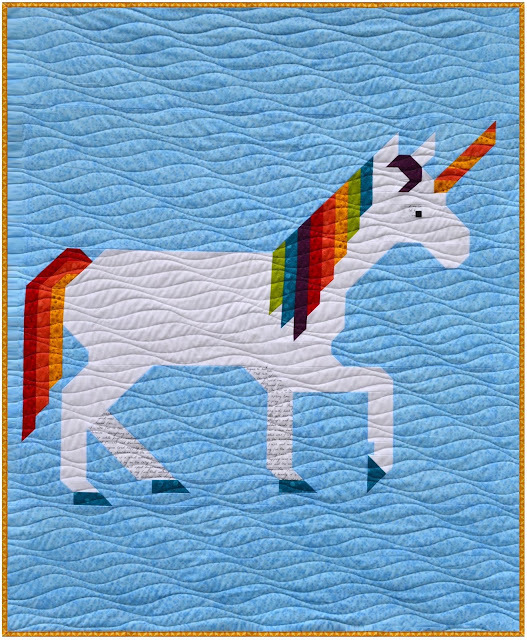 And these quilt alongs will always be there, so you can join in at any time. 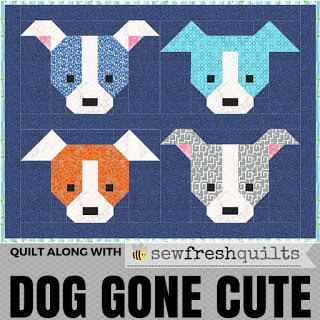 New to Sew Fresh Quilts in 2017 was a virtual quilting bee - the Sew Fresh Quilt Bee. 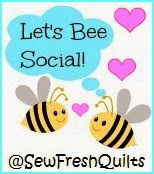 In commemoration of Canada's 150th anniversary, Sew Fresh Quilts hosted a quilt bee which was our way of taking part in "Canada's Big Quilt Bee". 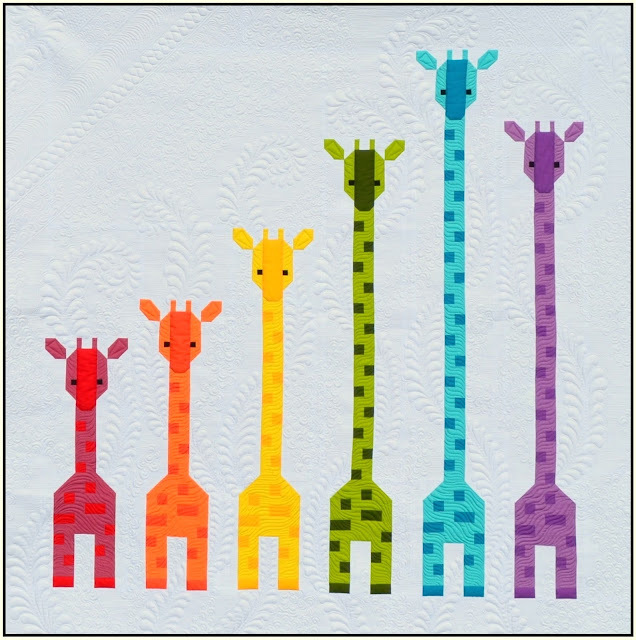 Our quilt blocks were made into quilts for donation to the Ronald McDonald House charity. 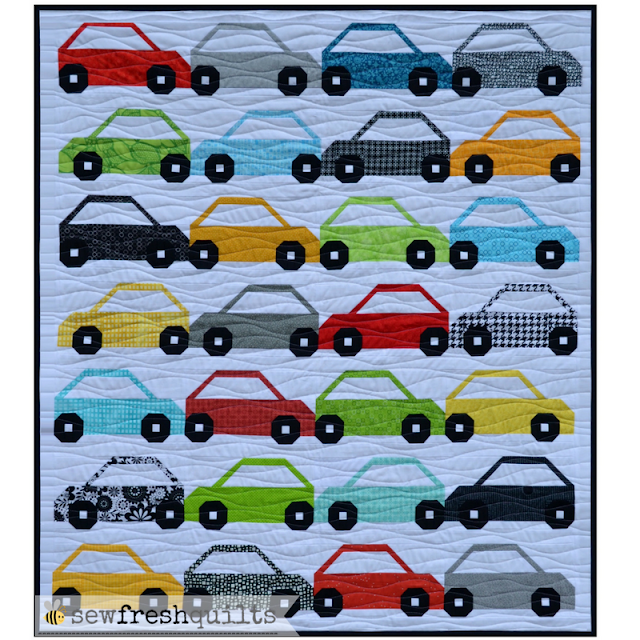 I had so many people inquiring about a quilt along for 2018. And I had hoped I would have found the time and inspiration to come up with something fun. But it didn't happen. 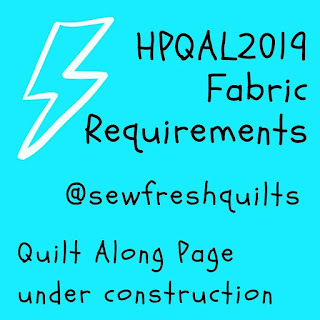 But that's perfectly okay because the HPQAL2019 is really going to be THE THING!!!! The year 2019 will be.... 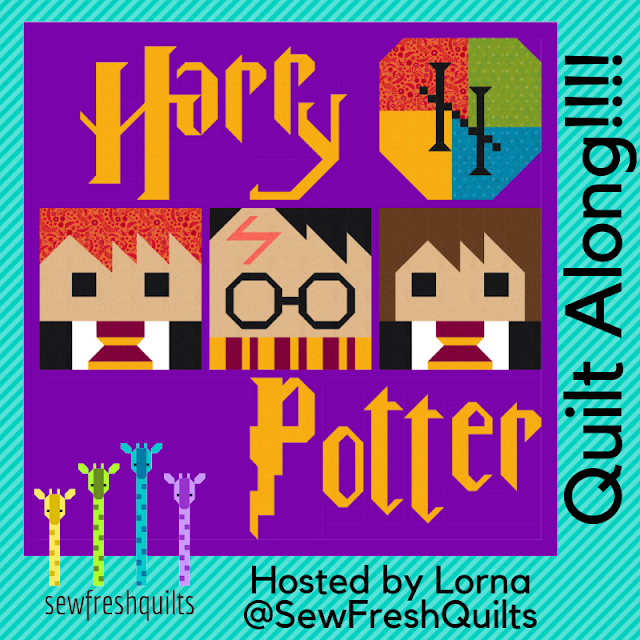 The YEAR OF THE MOST EPIC HARRY POTTER QUILT ALONG! 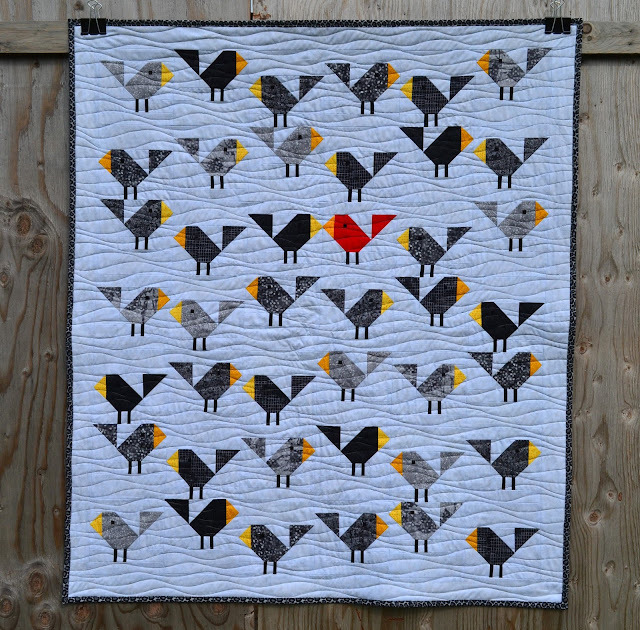 Last year at this time I shared a very heartfelt reflection on my quilting journey. It was a post about love really and how I had found myself having made a difficult decision. I'm not calling it a crossroads. I had had enough. They say it is hard to stay in a relationship. But I say it's harder to leave it. All my hope was gone. And I was ready to make a new start. I asked for your love and prayers and I was overwhelmed with both! And there were many many many of you who had gone through, or were going though, a similar situation. Knowing you were out there thinking of me and caring, made me stronger. And it is my hope this Christmas Season that you are all feeling loved. Please know that we are all here for each other. And I love you all!!!!!! Having you in my life is a blessing you cannot imagine! Thank your to each and every one of you for all your support throughout the year!!! 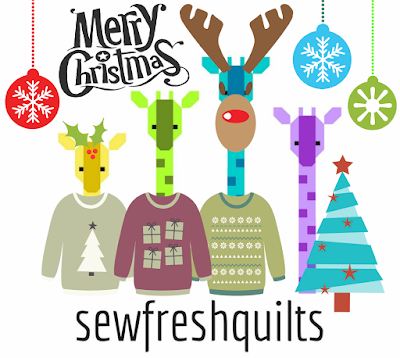 Get 50% off any PDF pattern purchase using coupon code HOHOHO at checkout. 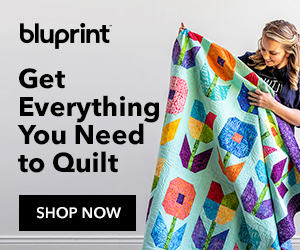 Looking forward to quilting along with you in 2019!! !